Make every swim streamlined in the TYR Wrinkle-Free Silicone Adult Swim Cap. Designed to accommodate both male and female athletes, the hypoallergenic LCS is both durable and tear resistant. Engineered to provide a sleek construction, this training cap ensures a precise, yet comfortable fit during every lap. Great product. Lasts forever and stays on. This cap is perfect for swim triathlon workouts I have. My workouts are long, my equipment needs to be spot on the entire time. I love the cap I purchased!! Great material. Stronger than other brands! It is durable and stays put! Q: Is the logo on just 1 side? Can't be on both for HS swimming in NYS. A: We have a logo on both sides on the Silicone cap. Latex cap only has one. Q: Will this cap completely cover my ears (I have short hair) or would I be safer with the long hair model? A: This cap should work, if you do not have longer hair. Q: We are a swim team in need of caps. Silicone preferably so need a quote for several caps: DOLF on one side only others would have DOLF on one side and swimmer name on the other. If name printed prefer ALL CAPS and could we have " J. DOE" ?or "DOE" only? how many letters? charge for a personal cap? Min order? is shipping include? and time for delivery once layout approved? A: Thank you for your inquiry. 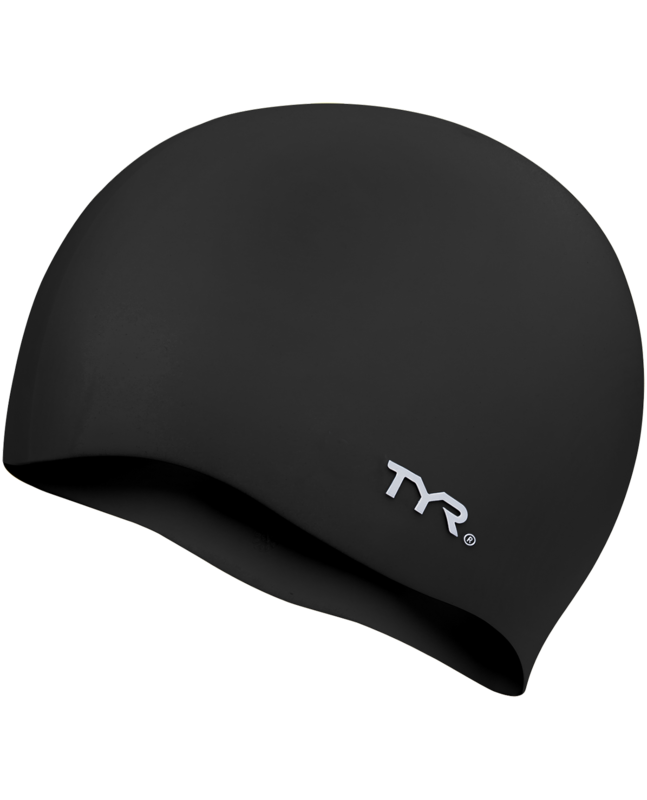 TYR Wrinkle-Free Silicone Swim Caps can be customized, but unfortunately we do not offer customization services direct. We would recommend contacting your local TYR dealer for assistance. Customer Service is our top priority. If you require additional assistance, or need help finding a dealer, please feel free to contact us via Live Chat or telephone (1-800-252-7878). We offer Live Support Mon-Fri 9AM-5PM PST. Q: Is it possible to order swim caps with a school logo? Q: what price for 125 each of red, yellow, green and blue? A: Thank you for contacting TYR Sport! We are always eager to answer any questions you have about our products. 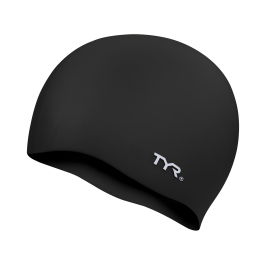 Our price per cap is stated on www.tyr.com. We do not offer team pricing on our caps, as we do not compete with our dealer pricing. Our contact list of dealers can be found at our home page. The Silicone Wrinkle Free Swim Cap is more than just a fashion statement. Designed with a precision wrinkle-free fit for reduced drag and tear resistance, our Swim Caps are made to slide on easily and stay on.